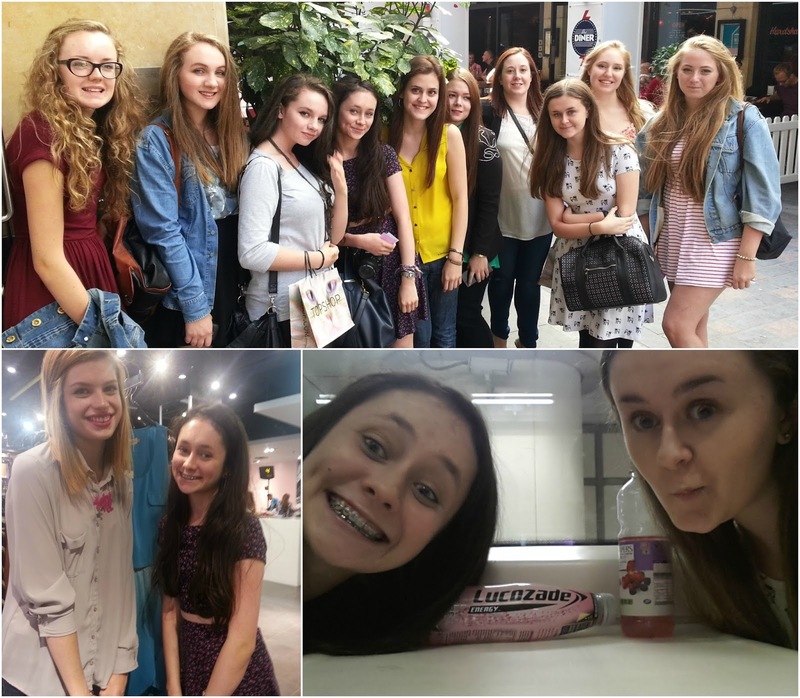 from L-R: Becca, Tallulah, Megan, me, (Ciao) Sophie, Tanja, Holly, Sophie (Said), Kimberly, Perdi. The gathering organiser extraordinaire and I in Topshop. We didn't realise until afterwards that our poses were identical to each others...oopsy! Sophie (Said) and I chilling before leaving London Victoria. I ordered a Hawaiian burger, which had well-done beef, pineapple, lettuce, bacon and cheese. Absolutely delicious! 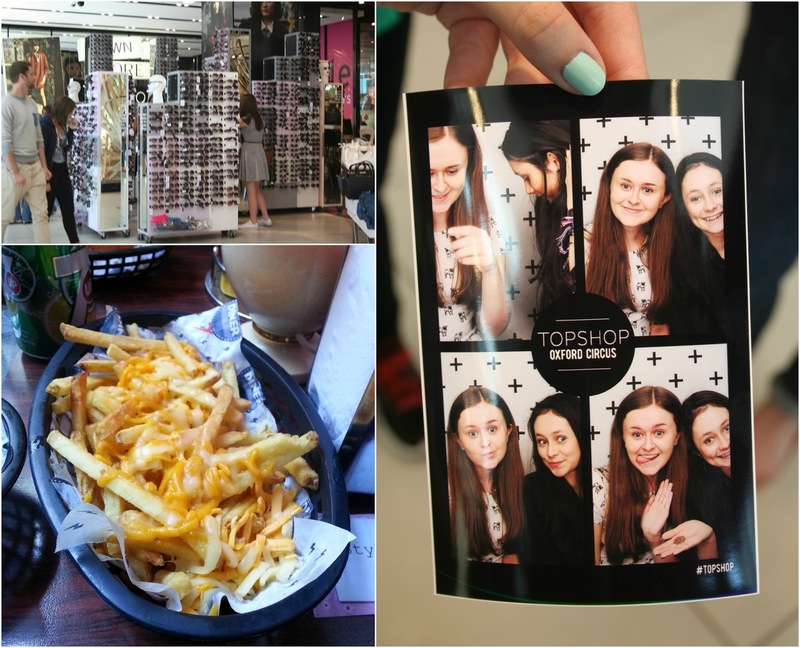 The cheesy fries & photobooth fun in Topshop's flagship store. 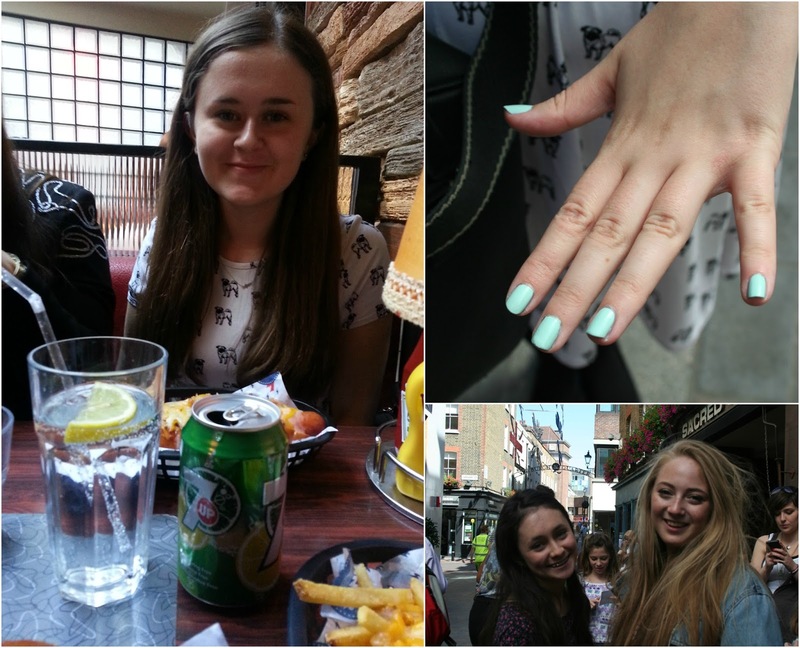 Sophie's minty nails and Perdi's gorgeous hair. Last week I went to Sophie's London Bloggy Meet, arranged by her to celebrate the end of summer and had a fabulous time. 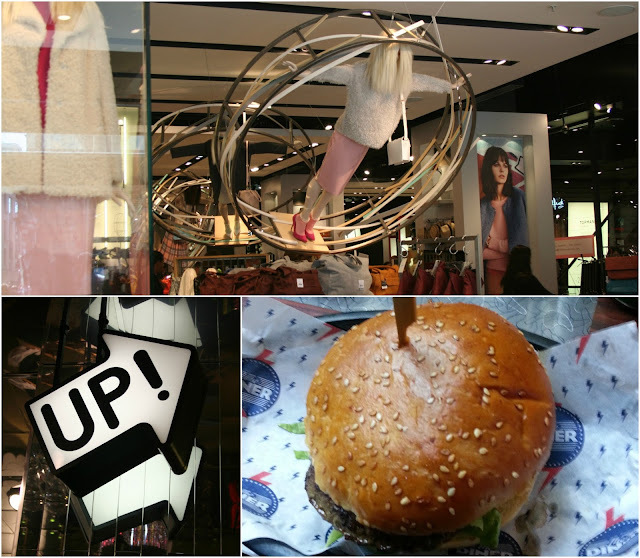 American burgers, many shops to browse through and so many people to chat to was the perfect combination. I don't want to bore you too much by repeating what other people have written about the day, so I'd recommend you give Sophie etc, Sophie Said , Charlotte, Perdi and Selina's posts on it for a clearer understanding. I massively enjoyed the day and I don't want to be at risk of referring to literally everything as 'fabulous' or 'brilliant'; the other girls gave a much more comprehensive overview of the gathering (and I am feeling super lazy tonight). I think it was the lovely Lydia who compiled the list of bloggers who attended, so if you have a bit of time to spare please do go and check them out! I was actually overwhelmed by how nice they all were - it made me realise that I've met so many unpleasant people that it naturally makes me assume at least one or two people would have been like that. They're honestly not, and they all can hold a long conversation about lipstick colours or the latest nail polish shades...y'know, important stuff. Well, to us it is. The organiser Sophie from Sophie Etc.